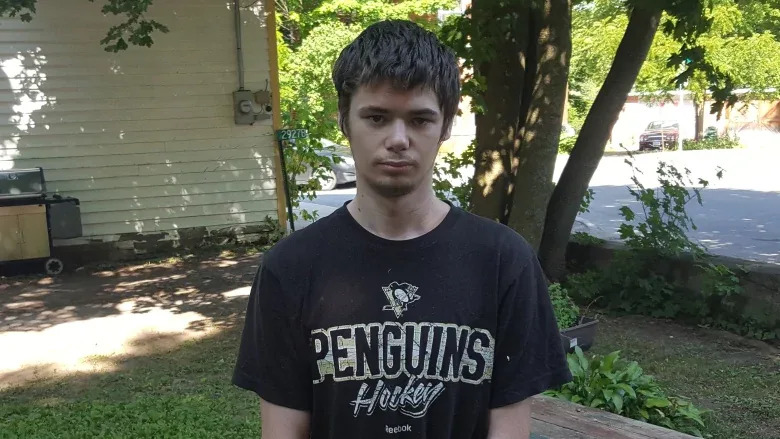 A 20-year-old man from a rural town in eastern Ontario doesn't officially exist on paper because he has no birth certificate, no social insurance number and no driver's licence. To the Government of Ontario, Lucas James Veley from Sydenham, about 30 kilometres north of Kingston, was never born. "It's a huge pain, not being able to do anything," Veley said in an interview by phone Tuesday. "I can't get a job, I can't get a licence, I can't really do anything, to be honest. You can't really live a life." If he could, he said he'd be working at a local hardware store, saving up money in case he wants post-secondary education one day. "It's been terrible for him," said Barb Neilson, Veley's mother. "He can't work, he can't drive ... he can't have a bank account, he can't do anything. He has to sit at home and do nothing." Veley was born in 1998 at his then home in Bellrock, another small town not far from Sydenham. His mother applied for his birth certificate and health card at the time, but said that after waiting a few weeks, the only thing she got in the mail was a health card. The lack of a birth certificate didn't become a problem for them until years later. "Before he was 16, it was never an issue. We had a health card [and] that is what we used to get him into school, he got all his immunization, he went to the doctor ... so it was never an issue," Neilson told CBC Radio's Ontario Morning. But when Neilson tried to renew her son's health card when he was 16, the staff at the counter told her it wasn't possible without a birth certificate. She soon learned her son's very existence wasn't properly recorded. "He was never registered as being born, so the Ontario government has no record of him," she said. The family applied to the provincial government for a delayed statement of birth and identification four times but received no response, Neilson said. Along with the necessary forms, Veley sent in his health card, the birth certificates of his parents, his report card and his immunization records. The family recently connected with newly re-elected Lanark–Frontenac–Kingston MPP Randy Hillier, whose office has stepped in to help the man get recognized by the Ontario government. "Something has to change because he's not the only one," Neilson said. "They say this is common, [that] it happens quite often." Veley said that after Hillier stepped in, he's hoping to receive his identification in a few weeks. "I think it's going to feel great, being alive and actually existing," he said.